The great brooding limestone cliff of Kilnsey is recognised as one of the UK’s most impressive crags. Its most distinctive feature is an enormous roof that caps the already severely overhanging South Buttress. This feature was first aid climbed in the 50s but shot to prominence in 1988 when it was freed by Mark Leach to give Mandela – so named as ‘they said it would never go free’. 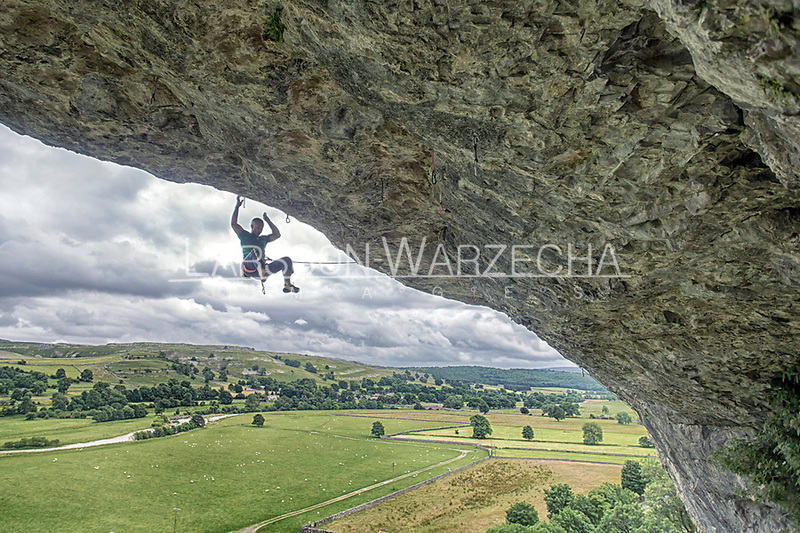 This summer Neil Gresham added his own take on Kilnsey Main Overhang but at a much higher grade with his route Freakshow. 8c in difficulty Freakshow is very different to your typical British sport route – almost 40m in length and with 18 clips the route climbs like the Spanish ultra endurance routes currently defining modern sport climbing. Success for Neil came after 14 days of effort.